I'm married to a wonderful woman and have two great kids in high school. I grew up near Boston and went to college there, but I also lived in Washington D.C., Vermont and Seattle, Washington. I love to cook, play golf, read and write. My son plays high school hockey and lacrosse and my daughter acts in the theater club and plays on the high school softball team. How do you help others be their best? 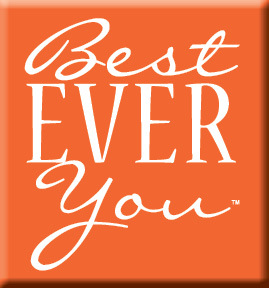 How do you help yourself be the best you can be? Be good to yourself and you will be good to others. Pursue your goals and people will be inspired by you and want to emulate your actions. Be generous without expectation of payback. Listen to others. Converse with people don't don't dominate the conversation. Don't feel guilty about taking care of yourself. I found a lot of validation in your great self-help novel, PERCOLATE. And I also learned some new techniques as well. How has your passion for writing developed? I've always loved to writer and read, especially crime and mystery novels. But I always left wondering what happened after the story was done. Like what happened to the family and their reactions to the tragedy. What was their grieving experience. 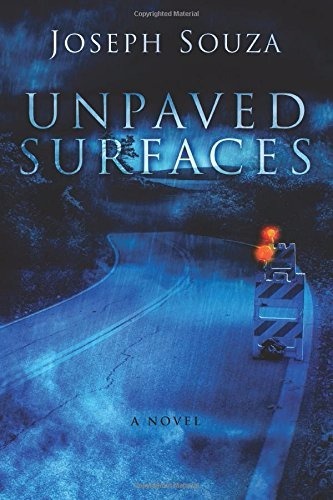 Unpaved Surfaces is about a family in Maine dealing with the loss of their young child after a year, with no resolution in sight. I wrote from the gut about what my own reactions would be and in that sense it helped me try and capture the grief I would feel in a similar circumstance. The problem is that life goes on. You still need to eat, pay bills, take care of your other children. I kept thinking: How in the world would I ever be able to do that if such a terrible thing as a missing child happened in my life. In that sense it helped the writing process, but it was also emotionally difficult as well. This is why I told this story from multiple family view points. The Battles all suffer from tremendous guilt and pain, but they all handle it in different ways, Keith being the most affected of course. Claire, his wife, pours all of her efforts in a town referendum to build sidewalks along the water. Shippen, the teenager, trains himself to be a monk and then a boxer after being bullied at school. Beanie builds a bird sanctuary in her yard. And Gundersson, the pretentious self-help writer, drinks himself silly, unable to follow-up to his mega-best seller Momentary Joy. Everyone handles grief differently. Why do you live in Maine and how has affected your writing? Maine's a great place to live. But I've lived on the west coast and other places, and I think people are essentially the same: hardworking, honest and desire a decent living. Here in Maine, the literary community is as vibrant as the scenery and food. I've belonged to a fantastic writers' group that has met for ten years. In Portland we have a tight knit community of writers. Of course I haven't been invited to Stephen King's house for blood sausage yet, but maybe someday. I did, however, get one of my horror novels compared to his in a book review in The Portland Press Herald, so that was a great compliment. But I love living here in Maine! My son gets to play hockey on frozen ponds! You've had a varied work life? Yes, I've done quite a few things from cab driver to school teacher, and many more in between. I worked on the waterfront of South Boston during the years Whitey Bulger ruled that neighborhood. When I worked for the DEA I had to gather lists of threats to agents by the Colombian Cartel and I can honestly say the threats were terrifying. An agent was killed during the time I was there and they made a TV movie about his death. But probably the worst organized crime case I worked on was in an office. I was ready to go to law school and working as a paralegal, extensively on the case that became the best selling book and movie A Civil Action. We were defending WR GRACE, who were dumping barrels of trichloroethylene into ditches behind the plant. Dozens of kids ended up with leukemia and dying, and here I was sitting in a deposition and listening as these parents got grilled about what they fed the kids. As if feeding them bacon for breakfast was going to cause all these kids to come down with cancer. Because of that I bailed out law school and became a writer-and gave up millions. LOL! Life is utter chaos. Everything tends to chaos. I don't know who said that but its true. Writing is great for us control freaks. The key is channeling it through your individual prism and bringing out the vibrant colors of order, beauty and soul. Adding tension and understanding pace. Because life is not like that. Ever! I would love to live my life in a French film but life is too messy. Amelie! Yeah. Love that movie. Writing allows us to be Gods. And monsters too. Any think we want! Your first book, The Reawakening, won the Maine Literary Award. Tell us about that novel and what the experience was like for you winning that? Quite a night when I won that award! Great honor! But you know something, awards only mean something to the person winning them. There are so many great authors out there. Still, I cherished hearing my name called for that one. We're all winners, anyone who pursues their dream, just for staying courageous and trying are hardest. It is a leap of faith to put feelings down on paper/computer screen. Whatever your goal in life, don't ever stop pursuing it. The process itself a therapeutic. What is the role of the fiction writer in our society? What purpose does fiction serve in our culture? Great fiction condenses the beauty and tragedy of life into a small pill and serves it as a pain killer to the harsh realities of life. If fiction can't move us, uplift us in some way, give us some spiritual hope than I don't think it's doing its job. Please give us one plug for someone else or your favorite cause or charity. Mitchell Sturgeon is a friend of mine who later in life was struck with Multiple Sclerosis. Despite being bound to a wheelchair, he is one of the most positive people I know. Currently, he is writing a fascinating memoir about his life. His mother, ironically, suffered a similar fate at the same age. I hope everyone reads his book when it comes out. Here's the link to his blog. What is your favorite book(s) to recommend? I love The Power of Now. That book provides a great philosophy on how to live one's life. Recently, I finished PERCOLATE by Elizabeth Guarino and found it extremely helpful. I refer to it often now, although sadly enough I've had to switch to decaf coffee. LOL! Please give us one or two shameless plugs. 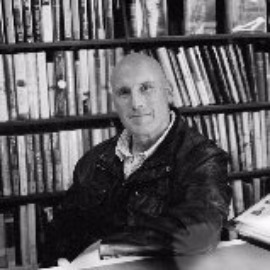 ​Joseph Souza is the author of many award-winning short stories and essays. He graduated from Northeastern University and grew up near Boston. THE REAWAKENING is his debut horror novel and the first in THE LIVING DEAD SERIES. THE REAWAKENING won the 2013 Maine Literary Award for Speculative Fiction and was an Amazon bestseller. DARPOCALYPSE, BOOK 2, is now published. DARMAGEDDON, BOOK 3 will be published in the fall of 2013 or early 2014. All three novels published by PERMUTED PRESS. His latest thriller THE LIGER PLAGUE, is the 1st book in his next exciting series. He lives near Portland, Maine with his wife and two children and enjoys running, cooking and playing golf when not writing. Thank you for these thought-provoking questions and answers. I loved Joseph's book, and parts of it still haunt me. What a prolific writer and special person.